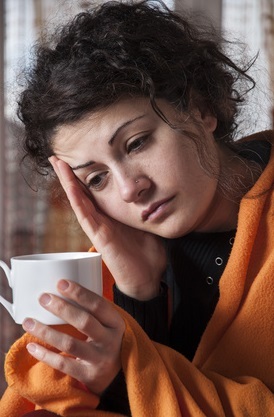 Household mold can lead to numerous health problems. Some mold in your house is normal and natural and some amount of mold can be found in almost any house, but certain kinds of mold can cause health problems, especially in excessive amounts. People with compromised immune systems, asthma or other respiratory problems are most likely to have health problems related to mold; healthy people can generally tolerate moderate-normal levels of mold in their environment. Mold in the home grows more extensively in moist climates; it’s less of an issue in very dry climates. However, some mold can grow in any climate. The type of central heating and central air conditioning systems you have in your home may also affect the growth of mold. Use of a dehumidifier in humid rooms will help reduce mold growth. Some people also experience exposure to mold on the job. For instance, farmers may be exposed to mold in hay because hay often grows very moldy. Mold on the job can cause health problems just like mold in your house can, although you may not be exposed for such lengthy periods on the job as in your own home. The longer the exposure, and the more mold to which you are exposed, the more likely you are to have health problems as a result. Respiratory symptoms are perhaps the most common health problem that might be caused by mold in your house. Symptoms include things like runny nose, coughing, sneezing, sore throat, shortness of breath, chest congestion, flu-like symptoms, asthma attacks and chronic sinus infections. Symptoms may range in severity from just slightly noticeable to very troublesome. Respiratory symptoms may respond to treatment with over-the-counter remedies in some cases but not in others. Other symptoms caused by exposure to household mold include headache, eye irritation, nosebleed, dizziness, fatigue, itchy skin and skin rash (dermatitis). Headache and dermatitis may respond to treatment with over-the-counter remedies in some cases but not in others. Over-the-counter eye drops may soothe irritated eyes, as well. The real solution, though, is to have all of the household mold removed. If you have symptoms of mold-related health problems, or if you just notice visible mold in your house, you should call in an expert to clean up the mold. 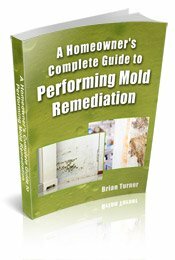 You can try to clean up the mold yourself, but an expert will identify all areas of household mold and make sure they get it all. We strongly believe a licensed professional should be used to remove the mold because if you miss just a little, it will just grow back and spread. Also, a professional will have all the necessary equipment so that the rest of your home will not be contaminated during the removal process. If the licensed contractor does indeed identify areas of mold in your house, he or she can advise you about how to proceed. He or she will know the simplest way to make your home safe again. Simply cleaning up the obviously visible mold may not get the job done, because mold can hide out of sight in places where it can still causes symptoms of illness. You should be aware that there are no established levels of mold in the home that are considered safe. The professional working with you can tell you how the levels of mold in your home compare to those in the typical home, but if you have mold, even a little, and you have symptoms of mold-related illness, the level of mold has exceeded the safe level for you. 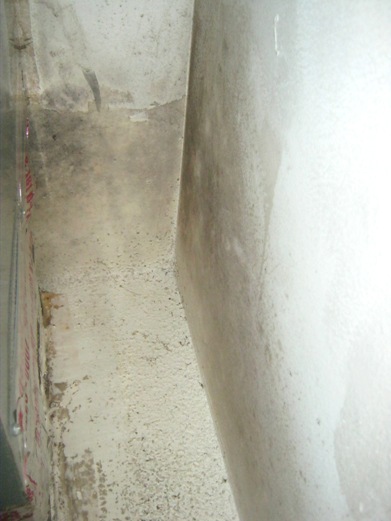 The picture shows mold next to a heating system in the basement of a house. A specialist will know how to locate mold in places you might have missed it. A specialist will be able to identify the type of mold growing in your home; if you’ve experiencing symptoms of exposure to mold, it may be helpful for your allergist to know what type of mold you’ve been exposed to. A specialist will have the proper equipment and safety gear for removing mold from all areas of the home, including inside HVAC ducts. A specialist will know how to remove mold safely, without increasing your exposure to mold spores or spreading mold to other areas of the home. You can get many helpful tips about mold removal from a free consultation, even if you opt not to hire a mold removal specialist for the job. Follow this link to get a list of licensed Mold Removal Specialists in your area. Call today to schedule a free consultation.